Agnes Molnar is an internationally-recognized expert in the fields of enterprise search, in-formation architecture, and Microsoft technologies. The author of many acclaimed books, Agnes regularly speaks at technical conferences throughout Europe, Asia, and North America, and has been recognized as both a Microsoft Most Valuable Professional since 2008, and one of the Top 25 Influencers for Microsoft SharePoint and Office 365 technologies since 2012. 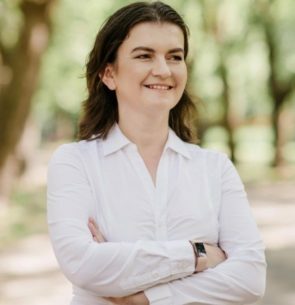 While receiving her Master of Science degree (MSc) from the Budapest University of Technology and Economics, Agnes developed a passion for helping people understand the power and possibility of search and discovery technologies, and how these innova-tions could impact their lives, their businesses, and their communities. This passion has guided her career, during which she has consulted many of the world’s largest companies, government agencies, and NGO’s in over 30 countries. In addition to leading the design and deployment of cutting-edge search applications for these clients, Agnes also developed comprehensive training programs focused on knowledge man-agement best practices, user adoption, and success measurement. This pioneering cur-ricula – continually refined to embrace the latest research and approaches, with dedicat-ed tracks for both technical and non-technical teams -proved highly-successful. This in-spired Agnes to found Search Explained, which since 2013 has been offering its technical expertise and people-friendly training curricula to help clients around the world ensure the success of their knowledge management and search initiatives. When not working with clients or managing the global Search Explained team, Agnes is the proud mother of three precocious children, and enjoys speaking to organizations around the world about the vital role of women in technology.